ID: 511 ~ Source: Various. “Deeds to Tempe School Lands 1885 – 1936.” Arizona State University, 1936 1885. MSS-98 Box 67 Folder 2/OV1. University Archives. 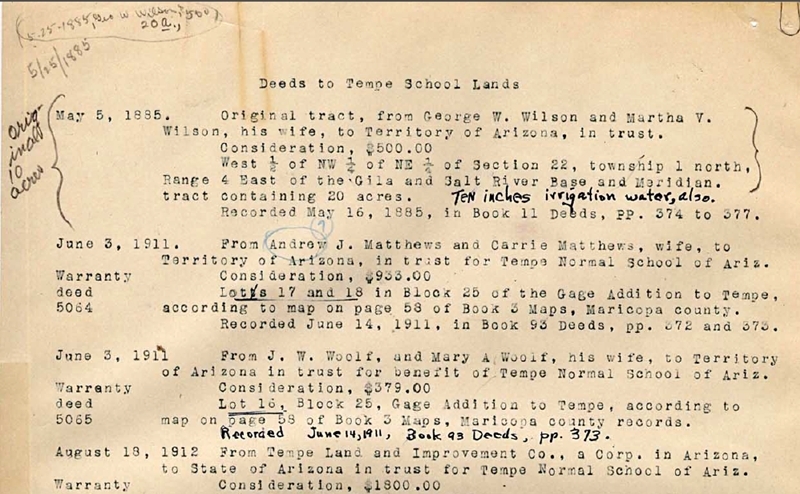 A portion of the typewritten notes about land acquisitions made during the first 30 years of the Tempe Normal School. Included are the land purchases of the first 20 acres. 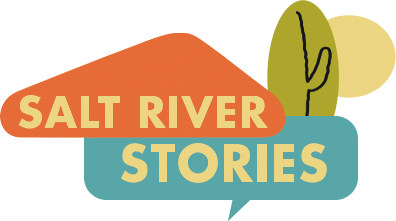 After that, the land where the Anthropology Building now stands was purchased.